Happy Monday, and a GIVEAWAY! Happy Monday, Friends. I hope you are well. I am still adjusting to my new normal…. and working lots! If I have been scarce, please forgive me – it’s entirely me, and not you! I am really excited about Windham’s Maribel fabrics shipping to shops!!! Click here to view the fabrics. 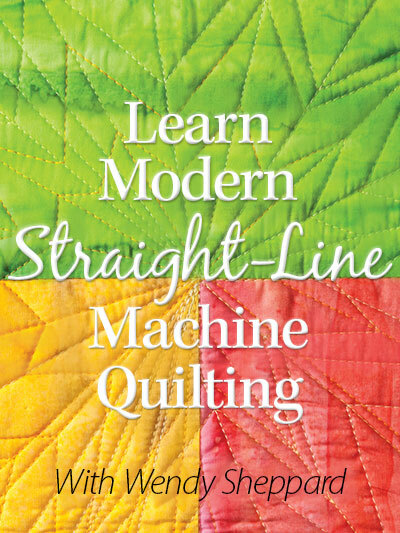 I designed two quilts patterns using this line that are available for sale (hopefully) at your local quilt shop. If not, you might ask them to contact Windham for details. 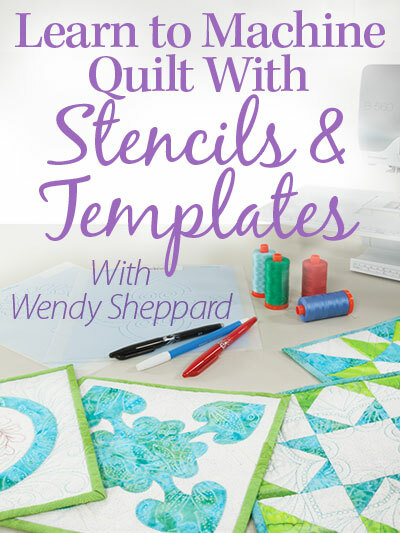 Alternatively, you may contact The Patchwork Co to purchase the patterns. Here are the blocks I have made for the quilt — it will be a present for Miss Baby. 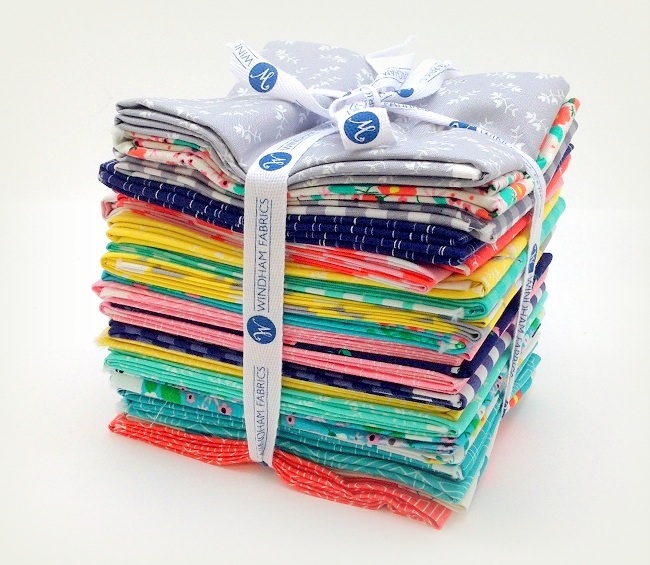 Giveaway: To celebrate the launch, Windham Fabrics has generously sponsored another giveaway of a FQ bundle of Maribel fabrics to a US address! Leave a comment on this thread between now and next Tuesday and answer the question: cat, dog, or neither. Winner will be announced next week! Thanks for playing along. I hope you have a lovely week!!! Hugs to you all. 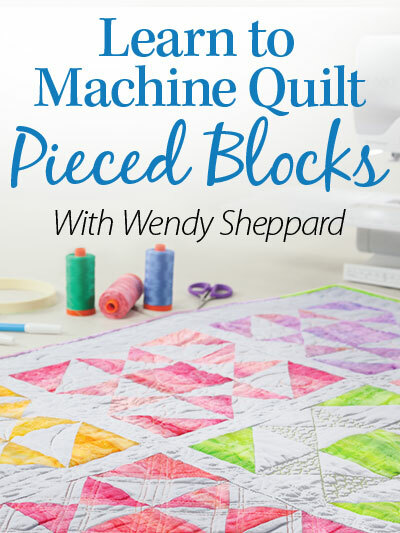 This entry was posted in Quilt Pattern, Quilting, Quilts: Pieced and tagged Cat Quilt Pattern, House Quilt Pattern, Wendy Sheppard Designs, Windham Fabrics, Windham Fabrics Maribel. Bookmark the permalink. ← Aurifil Thread Journey: Wrapping up – almost! Love the fabric – DOG!!! Although in the past I’ve had a dog and a cat, I have neither now. I do prefer cats though. Thanks for the chance to win. Cute blocks! I’ve had 7 dogs in my life. But now we are retired when our girls leave us we won’t adopt another…too much work! We may need to become cat people! No pets now but I have had three dogs over the course of my life. I am sorry to say I am allergic to cats. many barn cats now…. dogs in the past. I love dogs! I love cats! Hmmm. I am on the fence. Cute fabric. I also like your patterns. I choose Dog! Cat…dog… I’m an animal lover so either is great. Currently have 2 rescue GSD, so guess I’d go with dog if I had to choose. The fabric is super cute and I bet Miss Baby will love her quilt :) Thank you and Windham for the give away! Cat! Well, dog too, lol! Love that cat pattern! Neither, and I refuse to apologize. I can’t remember how many times I’ve been a “momcat”, presently to three furballs. And I have been a “momdog” too, but she has been RIP for ……. 23 yrs now? I could probably still find some dog hairs in my stash that belong to her. Miss Baby will enjoy whatever project you have in mind for the blocks. I have made that pattern before too. They are even more fun set in an “Attic Window”. You know, that is the only way my windowsills get dusted! I LOVE the cat quilt. Currently I have three dogs who I love to pieces. I also adore cats and in the past had up to 8 at one time. My cat of a lifetime, Riley passed away 10 years ago. He was a Snowshoe That I got at the pound. He was my comfort kitty and have still not been able to get another in his place. Kitties! Though dogs are ok too. Oh this is so sweet. I love Windham Fabrics very much. I love dogs and cats. I have two cornish rex kitties and they love that kitty quilt. I love the house quilt too. Love the fabric! We had dogs. But years ago I made stuffed cats with that pattern. They were so much fun! Dogs inside, cats outside. Guess I favor the dogs. Ahh…cats…outside! They keep the snakes and other woodsy critters out of the yard! Grew up with a dog but 25 years moving with the military did not have any pet. Daughter had two long-time cats until recently. GD would love the kitty quilt as she remembers Fred. Both! Very pretty fabric. I could put it to very good use. No pets allowed here but I visit dogs at my sisters’. No Pets, but my Daughter has dog who loves to take walks. This cheery fabric makes me smile. Definitely a cat person. I enjoy dogs but would not want to live with one. Great fabric bundle, love love the colors. I prefer a dog. I’ve only had one, my first ever pet, and she died a couple years ago. I won’t have another pet. However, I do have two grand-doggies that fill the void quite nicely. I love the fabric! Because of the crazy day job that I currently have, I don’t have pets. In the past, I’ve had both cats and dogs. I would have both again, if I could! Hi Wendy, Have had dogs and cats, both, and more than one each at a time! Now we have a crazy cat that likes to bite. I would love to make the cat quilt. Thanks for the giveaway. Happy Monday to you ! Neither….the grandkids are more than enough for me! Do not have either a cat or dog, would much prefer cleaning up scraps of fabric! Neither at present but both in the past. I love them both but have to answer “neither” since my dear hubs is quite allergic to both. Love, love, love the fabrics! And the patterns! Please don’t enter me in your giveaway. Beautiful quilts and fabric. I’m with Miss Baby “Pet by Proxy” approach. While I love all sorts of pets, the Pet by Proxy approach is just the best way to go for my schedule. I am inspired to make your gorgeous cat quilt. I’m sure Miss Baby will love the quilt you are making her. I love both. Dogs provide a welcome home after work and cats provide a calm snuggle time. I have one dog and two cats. We have 3 rescue dogs! Bliss is a 10 yr old corgi mix, Ginger is a Papillon/Pom mix and Preston is Tibetan Spaniel. They are all such precious dogs with very distinct personalities! Thanks for the chance!!! Thank your for the giveaway chance. Sadly, I’m in the neither category. I like other people’s pets just fine, but never wanted one of my own. Both. Dogs and cats. They both have their pluses. Cats … independent well-behaved (well, they are the masters, you know) cats. I love the fabric and the patterns. Having trouble finding the patterns on The Patchwork Place … but I won’t give up. Whoops. I meant The Patchwork Co. I like the quilts and dogs are my favorite. Cat, dog, both! We have one of each and love them immensely. Beautiful quilts and fabric! I am a dog person. We have a white German Shepherd named Annie and she is a great watchdog. Cat. Actually 2 of them. Cats :) Smoky and Paws is their name, how funny! I have a wonderful dog named Rosie. Your Cats Pattern is AWESOME!!! Would love to make one!! & LOOOOVE the bundle too!! Thank you for chance to win your Give-a-way!! :D!! Neither! I don’t love either one! And I especially don’t love owners who don’t keep their dogs on a leash when out walking them! And please pick up the poop! I love the fabric and patterns that go with it. I have two dogs now but I would love a cat too. Definitely dogs!! We have two, and they are part of the family. I grew up with cats, so they were always the pet of choice for me. About 10 years ago I started having problems with allergies, and was told I needed to be in a cat-free home. :-( Definitely would love to have some again…. I have a beautiful cat. She inspects and approves all of my creativity. Thank you so much for all of the projects they are lovely. We have had both but nothing at the moment. Now that we’re getting ready to move into a country house, we for SURE will have cats. And whatever animal decides to adopt us. Thank you for offering this giveaway! Dog! I now have a wonderful one that makes me laugh and smile all the time. Your designs are delightful! I have two cats and a dog, and my favorite is the dog. Thanks for the fun! Lovely fabric. Would love to win, We have no pets but when I go over to my daughter’s place I can get my fill of pets. She has a french bulldog by the name of Carl and a cat by the name of Susie who by the way has a mind of her own. After many swats across the nose Carl still hasn’t quite figured out Susie just not interested in playing. 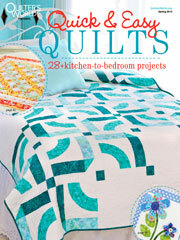 Love the quilts and fabric! Dogs…….and cats! 2 dogs! What a pretty eclectic-looking fabric line…I love it! Love the new quilt. Dog. I’ve always been a dog person but we have two cats now that I love. We live on a farm and they have to stay outside because I’m allergic but they’re so sweet! Love my cat, Jessie James, but he lives outside. Cannot stand cat hair in the house and on my skirts and slacks. Also love my three outside dogs. One finds snakes and the Jack Russell kills them. The youngest dog is a gangling “teenager” and is the only dog we have ever had that will come every single time she is called. Dog. But I can’t have one bc trial and it wouldn’t be good to leave dog in RV. I have 3 dogs and a cat right now. Don’t ask me to choose. I’m so happy Miss Baby has a pen-pal cat, lol. That’s so cute. I do happen to be a dog person, though. I’m allergic to cats, so can’t really be around them. But dogs and horses are my favorites. Hope you’re doing well. 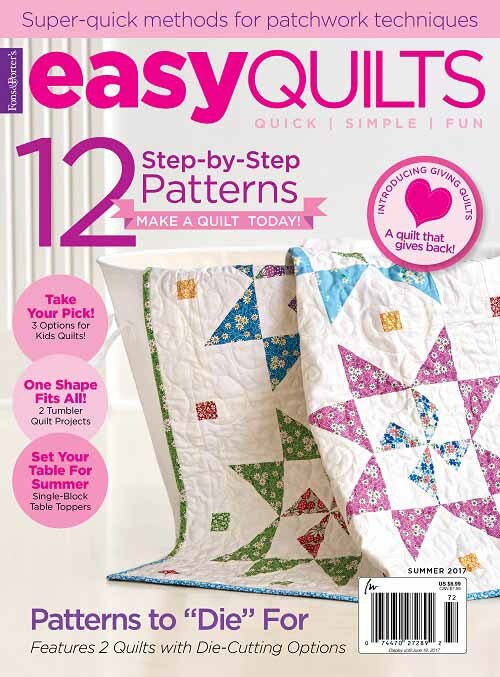 Love your quilt patterns and the fabric is fantastic. ~ Dog! Cat, by all means. Although ours is awfully bossy. Gorgeous fabrics, cute patterns. I especially like the one with the cats…I guess because I prefer cats to dogs….just ask the 3 that live with me…. I don’t have a pet as they aren’t allowed at my apt. complex. If I could have a pet I would want both. I think I’d start with a dog and then get a cat. Love the kitty quilt…I’m sure Miss Baby will too. I am a cat person! Thanks for sharing the giveaway. I have both and love both. Maybe I love my dog a little bit more. I love the COLORS of this collection….would be extatic to win them. Cat, can’t quilt without her. Dogs are nice, but cats rule! Dog and a rescue parrot! How about cat, dog, or both? I love them all, along with your fabric. I prefer cats to dogs – i have a scar from a dog bite that explains that – but am not a cat servant. A friend told me that cats have servants not owners. And I can enter because for almost all of October i have a US address! i am so excited! Neither. Love dogs, don’t like cats, but do too much travelling to have a pet. Do I need a US address to join in giveaways?? Boo Hoo!!! Unfortunately, neither — no pets allowed here. If I could, though, I would definitely own a Sheltie (Shetland Sheepdog) . . . . sigh! Wow, Windom has done it again. Cute fabric and a great quilt to make. This will definitely go on my wish list. Pretty fabric! No pets at the moment, but my last cat owned me for 21 years! I love the fabrics, and the cat quilt and pattern, so very cute! Cats are my favorite, my baby is purring away as I write. Cats for sure, I have four, two in my home, and two in my studio. Love your patterns. Dogs for me!! Love this fabric! I love them both. I had always had cats before moving to the farm. Now we have three dogs of slightly questionable and highly questionable lineage. All have come to the farm and adopted us. For some reason people become tired of their pets and rather than find homes for them, they bring them out in the country and dump them. Their thinking is–farmers always need another dog. Our sweet mutts have become family. One sleeps pressed against me like my cats used to do. One is afraid of thunder and is a 50-pound lap dog in storms. The other is a fun little guy who shamelessly begs for traeats and will sit, shake and high five for them. Their veterinary care certainly cuts into my thread and fabric budget, but… oh well… these goomers are now my babies. I love both dogs and cats, but prefer cats as pets. So much easier to care for! Wendy, I love your patterns and may have to purchase. I have double digits in my number of patterns that haven’t been sewn, but I love ’em and have every intention of completing them….what’s two more, eh? The fabric is yummy! Love the fabric! Definitely DOG. Dogs but right now am without. Soon though! Turns out I am a dog Lady…. His name is Max and he is part Hound, part Hamster and part Demon Spawn. I love cats And dogs…have neither at present ! Pretty amazing fabrics. Definitely cats!! Beautiful fabrics! I wish there had been a 4th choice….cats, dogs, neither or BOTH! If I had to choose it would have to be cats as I have had as many as 19 at one time. My husband and I rescue cats—not really by choice but as we live on a dead end farm road, folks drops their unwanted kitties (usually a pregnant female) here. I then have them spayed and they usually live to a ripe old age. I also have a precious kitty, Blitz, in the house…he’s an Alaskan Snowcat….and one beagle outside along with only 3 outside kitties now. Love the cat quilt pattern. We have a cat AND a dog! Neither now but lots of cats and one dog in the past. Thanks for the giveaway! cats are the best I think though, but only by a slight margin! Hi, it’s CATS! Neat cat block on this post! Thanks for a great giveaway! from a bad situation and have become gentle and sweet — good company for me. 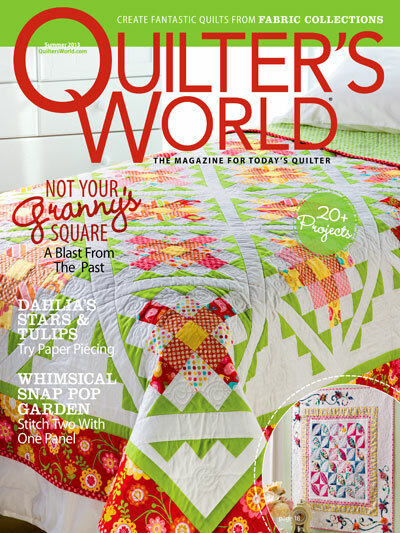 Both quilts are spectacular! Both is my answer! Cats for me. Great patterns as always. I really like cats probably more, but like dogs too. Cats. I love how independent they are while at the same time being so lovable. I like cats and dogs but have neither. My husband is not crazy about either one. Love the fabric. I love both cat and dog so either for me. Both. Love the fabric and charming patterns. I’ve got two dogs and one cat. Love them all! Always was dog until I got a grandcat. As an adult, I’ve always chosen cats. Can you choose both????? I love that first quilt. It is such a great way to show off the fabrics. The kitty quilt is sweet too. I wish dog but allergies dictate neither. Years ago: Cats (two until they passed), now neither. But all the quilt space companions I see have me thinking I might one day adopt one again. Empty nester here. Love the fabric collection and your patterns are very cute. Thanks for a chance to win. We have had dogs in the past, but right now we don’t have any pets. I think they are both fun and cute for quilts though! Neither. Although, I feel rather bad admitting it. I’m just not an animal in my house type of person. I just found your blog through Pinterest. I love it! I have two adorable dachshunds. Loved my little Tibetan but she has passed on. thanks for giveaway; pretty fabrics. I fit into the “neither” category. I am definitely a dog person. Cats, NO. Neither, NO. Cats and quilts…..the perfect combination. Dogs are wonderful too, though! We have given a home to many rescued dogs and cats in the past. At one time we had two dogs and three cats. Two dogs may not sounds like a lot, but when one is a Newfoundland and the other part German Shepard, the house can get pretty small. Right now I have a Dalmatian and my daughter a boxer lab mix, no cats, as neither dog is a fan. So right now, I’m a dog person. Have had dogs in the past, but I don’t have any, my son does – who lives at home, so….